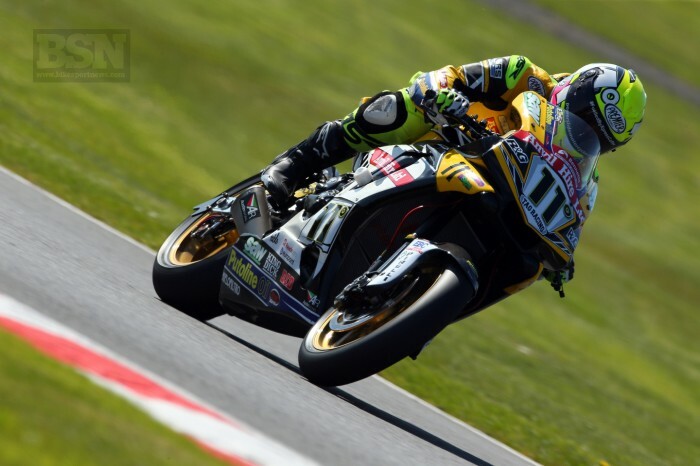 Anvil TAG Racing’s James Ellison believes he has made a breakthrough in terms of setup for the 2018-construction Pirelli tyres which has caused him, and fellow Yamaha man Josh Brookes, some consternation this season. Although Ellison missed the official Snetterton test, the team did attend at Knockhill in preparation for this weekend’s Bennetts-backed clash at the Norfolk circuit where and came up with an idea to change the R1’s balance. “We’ve had a couple of good tests during the break, one at Snetterton on a track day, which was very busy, and we managed to get through a lot of things on the programme. We also went to Knockhill which was really productive,” said Ellison. “We’ve found a little bit of a balance to suit the new 2018 spec tyre, and we think we’ve found a breakthrough with that after changing certain areas of the setup, so we’ll find out on Friday how that fairs.